benefit the Phillies, he’s not the missing piece for the Phillies in 2019. While Craig Kimbrel would undoubtedly improve the bullpen of all 30 teams in the league, his asking price keeps driving teams away. Kimbrel is seeking a contract that could potentially make him the highest paid reliever in MLB history. Despite these lofty hopes and desires of Kimbrel, no team has been willing to go to that point. Although Kimbrel’s asking price may have decreased now that the season has begun, the Phillies can’t afford to put more money towards their bullpen this season. This offseason the Phillies spent $23 million of their “stupid money” on reliever David Robertson. This large investment into the bullpen makes signing Kimbrel seem even less likely. This is especially true since the bullpen isn’t even the Phillies largest need for improvement at this point in the season. At first glance the Phillies bullpen could seem to many as the weakest part of the team to this point. Multiple blown leads easily puts the relievers in the negative spotlight amongst fans. However, the Phillies bullpen hasn’t been as bad as it may seem. The Phillies bullpen actually currently has the lowest ERA of any team in NL East and is only slightly worse than other National League contenders such as the Los Angeles Dodgers and the Milwaukee Brewers, in terms of ERA. With a bullpen that compares favorably to other National League contenders and division rivals, it seems unnecessary to spend even more money on the bullpen at this time. The trade deadline is always plentiful in terms of bullpen help and therefore it seems more reasonable that the Phillies will wait to improve the bullpen. While Craig Kimbrel isn’t the missing piece for the Phillies in 2019, the missing piece is also currently a free agent. This missing piece is Dallas Keuchel. 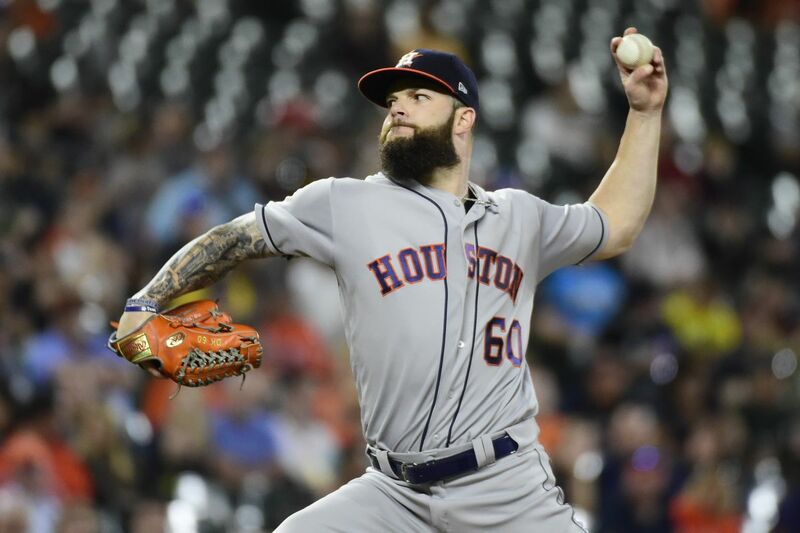 Keuchel, a 2x All-Star and former Cy Young Award winner, entered free agency hoping to land a large contract, however none has come his way thus far. He finds himself in a similar situation to that of current Phillies pitcher, Jake Arrieta. Arrieta, also a former All-Star and Cy Young Award winner, was unable to get the lucrative deal he was hoping for until the Phillies chose to give him a three year deal worth $75 million. Last season, the Phillies decided to add Arrieta to fill their need for a veteran starting pitcher to mentor and help lead their rotation. Adding Dallas Keuchel would be a way to fill a large need for this year’s team, a left-handed starter to bolster and solidify the starting rotation. Francisco Giants is a potential trade candidate for the Phillies, he seems more likely to be dealt later into the season. Dallas Keuchel seems like the best option to fill this need right now. The early struggles of Nick Pivetta and the seemingly short leash on Vince Velasquez creates a rotation with more questions than answers. Pivetta and Velasquez are coming off seasons in which their ERA’s were just below 5. Not much has changed early this season either as Pivetta’s ERA through three starts is already 9.45! In comparison, Keuchel had an ERA of 3.74 in 2018, a year in which would be considered subpar for the former Cy Young Award winner. Keuchel would be able to immediately take away many of these question marks and solidify the Phillies starting rotation. Although fans might view Craig Kimbrel as the missing piece of the 2019 Phillies, the real missing piece the Phillies need to get is Dallas Keuchel.